This is only a subset of the entire list of unpaid NYC property taxes. The rest is coming soon. 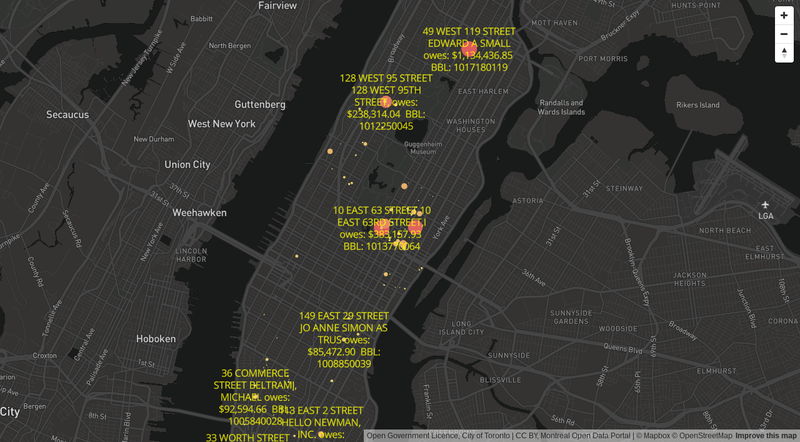 Please note this is based on NYC DOF http://nycprop.nyc.gov/nycproperty/nynav/jsp/selectbbl.jsp statements and since there is no API to the data, the information could have changed. This is true as of 1st quarter NYC DOF statements. 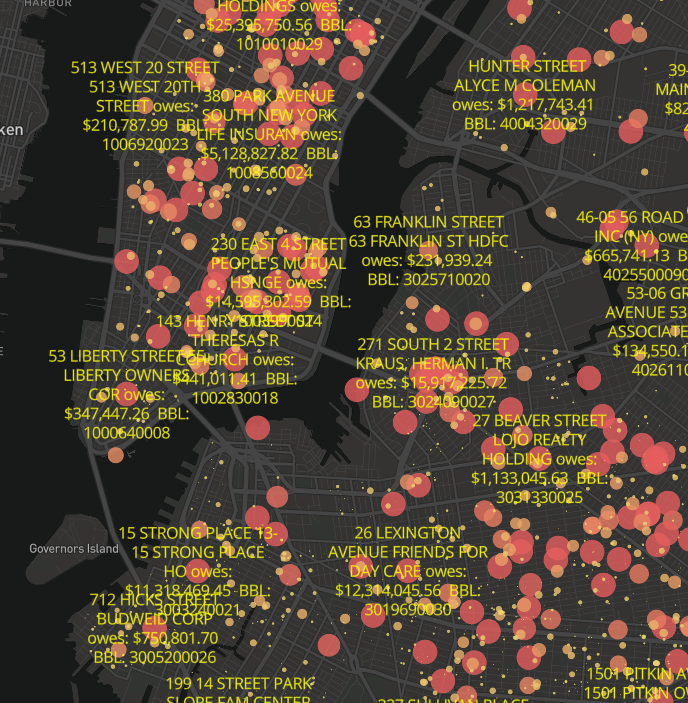 Updated to include all early 2016 and late 2015 NYC tax bills.